Does The President Always Attend The Correspondents' Dinner? HomePoliticsDoes The President Always Attend The White House Correspondents’ Dinner? On February 25th, 2017, Donald Trump announced he would not be attending the White House Correspondents’ Dinner. The Correspondents’ Dinner is an annual event where figures from the media networks who cover the Presidential Administration get together. 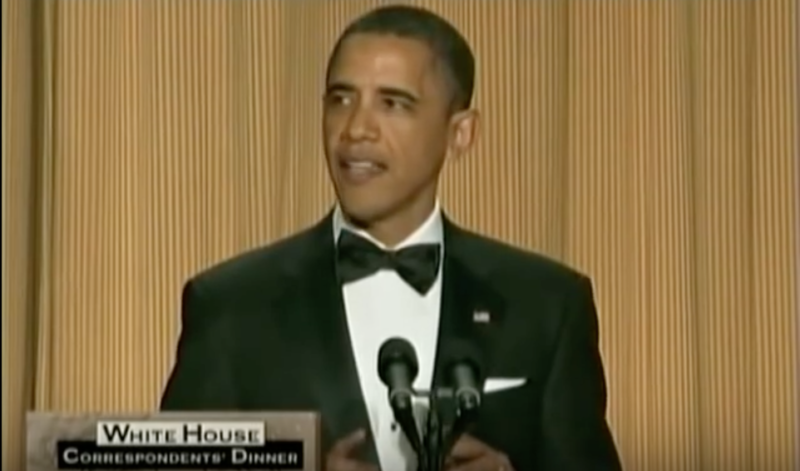 In this article, I’ll discuss the historical precedent of United States Presidents skipping this event and answer the question: does the President always attend the White House Correspondent’s Dinner? Donald Trump announced on Twitter that he would not be attending the White House Correspondents’ Dinner. The news came as a bit of a surprise, considering that Donald Trump has attended the Correspondents’ Dinner before. Most notably, Trump was roasted by Barack Obama during the 2011 White House Correspondents’ Dinner. The jokes at Trump’s expense centered around Trump’s continual push to get Obama to release his birth certificate, a conspiracy theory that was continually debunked. After Trump stated he would skip the Correspondents’ Dinner, many began to wonder if this was unprecedented or if past Presidents had always attended the White House Correspondents’ Dinner. In fact, the President does not always attend the White House Correspondents’ Dinner. There has been a history of Presidents failing to attend or cancelling the event in times of national or global crises. But don’t be fooled — when the White House Correspondents’ Dinner was cancelled, there was a good reason. In 1930, the Dinner was cancelled in response to William H. Taft’s death. In 1942, the Dinner was cancelled because the United States had begun to get very involved in World War Two. And in 1951, the event was cancelled by President Truman who referenced his concerns about the current state of the world. All things considered, Donald Trump is the first President since Ronald Reagan to skip the Correspondents’ Dinner. In 1981, thirty-six years ago, Reagan skipped the event as he was recovering from an attempted assassination attempt. Trump’s motivation for missing the event is less clear, but many assume it’s due to his contentious relationship with the media. Just the other day, CNN, Politico, New York Times, and other media organizations were not allowed access to the daily White House briefing.